Take the next step — in your education, your leadership, your career and your faith — as you learn from leading scholars in a supportive Christian community. Advanced education to advance your calling. Biola University offers a wide range of graduate programs — including master's degrees, doctorates, credentials and certificates — providing Christian students with advanced academic and professional preparation in such fields as psychology, theology, business, education, intercultural studies, and science and health. A premier school of theology committed to the unchanging truth of God’s Word, offering degrees such as a Master of Divinity, Master of Arts in Christian Ministry and Leadership and others. A nationally accredited business school offering rigorous and biblically centered Master of Business Administration, Master of Professional Accountancy and other degree programs. A leading school of psychology accredited by the American Psychological Association, offering Psy.D. and Ph.D. degree programs and accredited clinical training opportunities. A graduate school of education serving future teachers through degree programs like the Master of Arts in Teaching, Master of Arts in Education and others. A school committed to equipping students to communicate, live and work effectively in culturally diverse contexts through degree programs in TESOL, intercultural studies and more. The newest graduate school at Biola, offering a Master of Science in Speech-Language Pathology, seeking to equip a new generation of ethically thoughtful professionals in the sciences and health care. Biola University is home to a thriving graduate community — with graduate students comprising roughly one-third of the student body. Each year, nearly 2,000 graduate students enroll at Biola to be equipped in mind and character to impact the world for the Lord Jesus Christ. 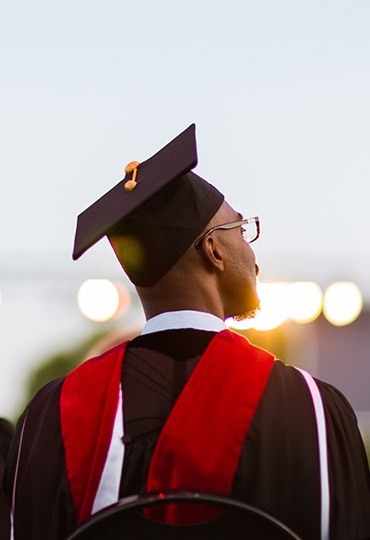 As a comprehensive, nationally ranked university, Biola University offers 18 master’s and eight doctoral degrees — each providing academic rigor, practical preparation, biblical integration and spiritual growth. Graduate education is offered in a range of formats to meet graduate students' needs, including on-campus, online, modular and at extension sites throughout the world.